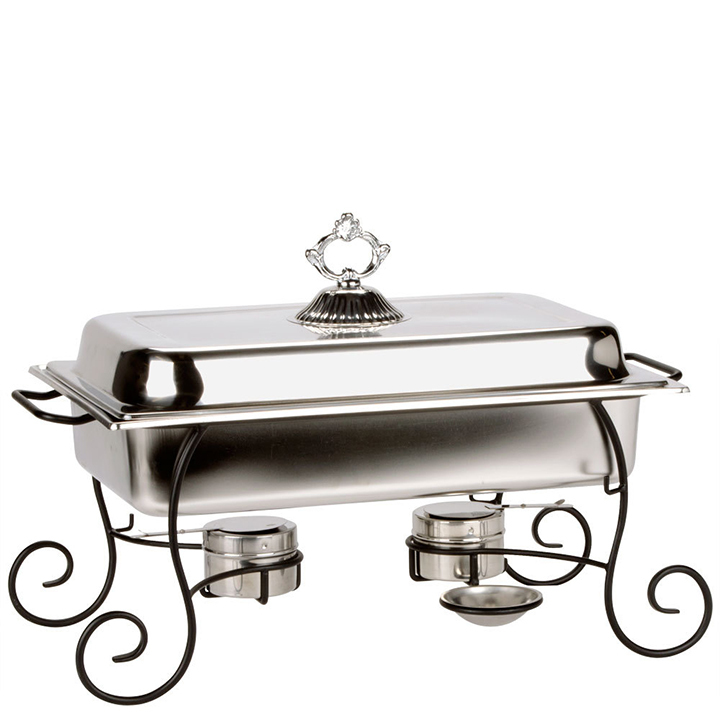 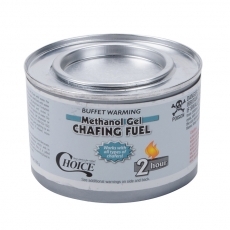 When you want a decorative chafer for your buffet line, this item is perfect. 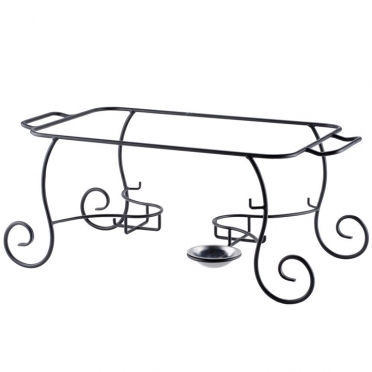 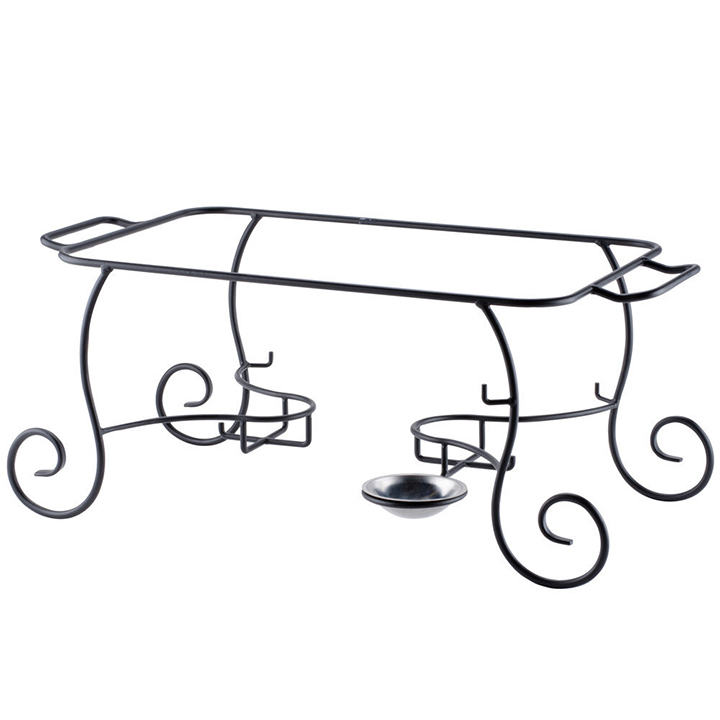 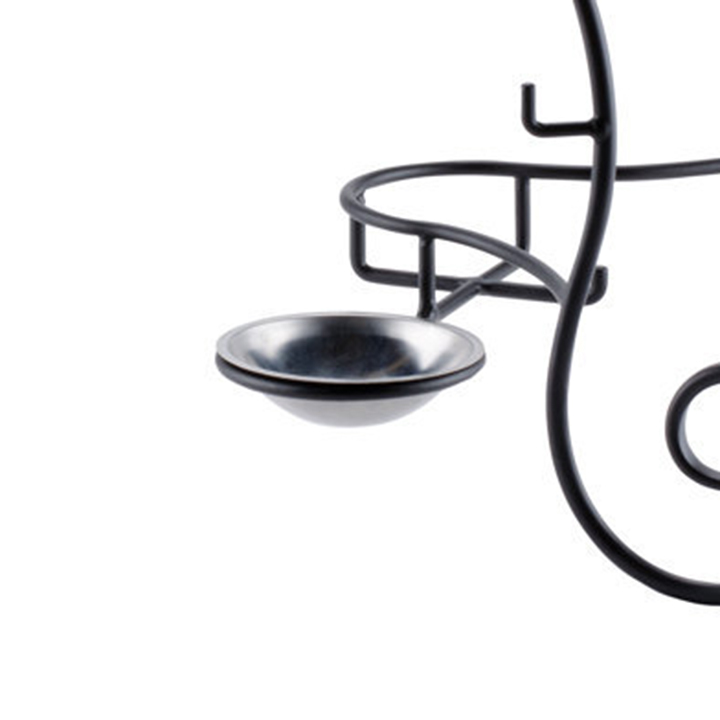 The combination of the shiny stainless finish and the black wrought iron stand offers sturdiness and beauty. 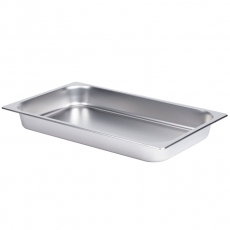 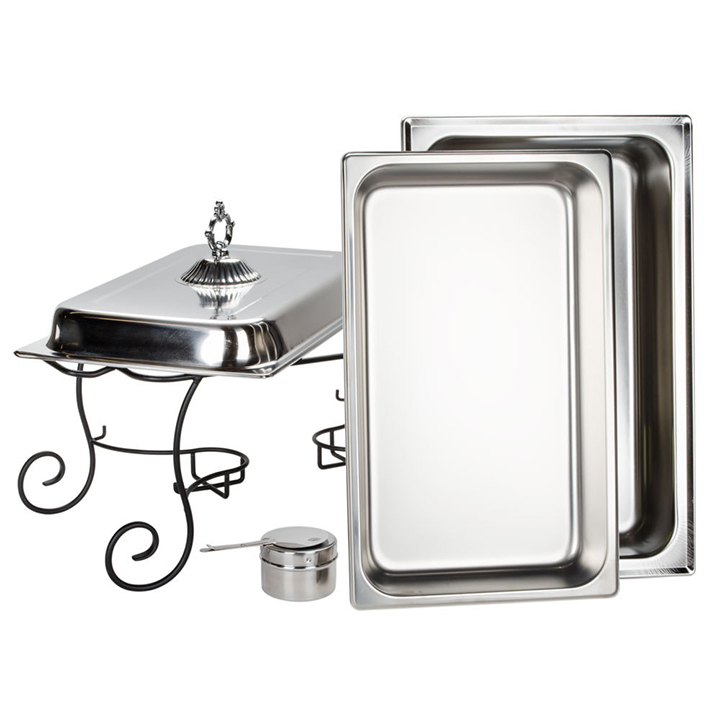 This piece is ideal for serving appetizers or side dishes that must remain warm. For added convenience, this unit has a space to hold utensils, including large spoons and tongs.